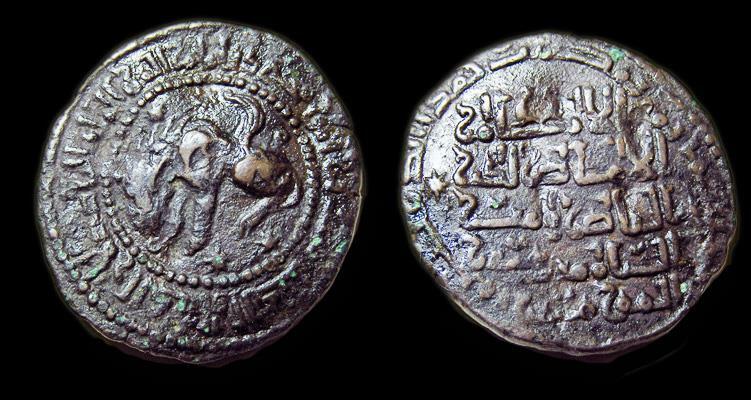 Mayyafariqin, AH 564-589, AD1169-1193 (H 582). AE dirhem, 30mm, 11.82gm. Lion amid stars within circle bordered by legend / Five line legend, legend around. Balog 177, Good VF and rare, wavy planchet.